The Elk River Area Food Co-op is currently looking for a Treasurer to fill our Board of Directors. If you have financial experience and a desire to help develop a start-up cooperative in order to bring fresh, local food to your community, apply today! Treasurer: The treasurer shall make a report at each board meeting. The treasurer shall lead the finance committee, assist in the preparation of the budget, help develop fundraising plans, and make financial information available to board members and the public. Additional duties are as follows. Understand financial accounting for for-profit food co-ops. Serve as financial officer of the organization and as lead person of the finance committee. Manage, with the finance committee, the board's review and action related to the board's financial responsibilities. Ensure that appropriate financial reports are made available to the board on a timely basis. Prepare the annual budget and presenting the budget to the board for approval. Coordinate with tax representative to complete the annual taxes, as required by law. Must have training and experience using QuickBooks. Share in the vision and core values of the Elk River Area Food Co-op while also having a passion for the mission of the cooperative. Commit time and energy in order to fulfill the mission of the co-op during its developmental stages. In order to successfully comply with this expectation, we ask all of our Board Members to commit a minimum of 10 hours a month. This includes attending monthly board meetings, volunteering at events and helping on committees as needs arise. Attend and fully participate in all board meetings. Board Members are required to represent the Elk River Area Food Co-op in a positive, professional manner. The Board of Directors is the face of the co-op and it is their duty to share the co-op message. Communicating the mission and vision of the co-op to our community is one of the highest regarded responsibilities of the Board of Directors. Learn the operations of the co-op, the duties and expectations of the director, board adopted policies and the board’s legal responsibilities. This would be through orientation to the board and committees, board retreats and board education sessions and conferences. In addition to expectations, there are numerous benefits that go along with serving on the board of the Elk River Area Food Co-op. These benefits can vary, based on what you are looking for in your social engagement, career aspirations, as well as personal development. Due to the unique nature of the development of the co-op, as a board member, you have the benefit of shaping your board service to fit your unique strengths and talents. By joining the Elk River Area Food Co-op Board of Directors you become an integral asset in the co-op’s development. Your passion, commitment and leadership will help guide the co-op to success and is setting the foundation for a strong, cooperative team. By become a Board Member, you are improving your local small town by making healthy, fresh food accessible for all. Your time and dedication will help the Elk River Area grow progressively and increase the wellbeing of our community. Join us on October 7th from 1-4 p.m at Lions Park in Elk River as we celebrate our partners and everything they bring to our community. This is a FREE community event, open to the public! In efforts to bring the community together around food, farming and family fun we have planned our first Co-op Partner Picnic. A day devoted to meeting Elk River Area Food Co-op Partners, buying fresh, local Autumn harvest and enjoying live music, a bounce house, kids crafts, giveaways, photo booth fun and so much more! This is a great opportunity to learn about the co-op coming to Elk River, how you can get involved, resources for local, fresh farm food and a chance to join if you aren’t a member already. We are proud of our community and are looking forward to a day of connecting.Bring your friends and family – more the merrier! *MEET OUR PARTNERS: We have 25+ local partners – come meet the faces behind the co-op movement and hear their stories on why they believe local food and business is so important for the community. *LOCAL FOOD & HAND CRAFTED GOODS: There will be food and goods available for purchase and order from our partners including pasture raised meats, fresh farm eggs, Autumn harvest of produce and so much more! *MEET OUR BOARD: Our board of directors, interns and staff will be at the event answering co-op questions and helping folks sign up if they are interested. *DANCE, SING & PLAY: We will have live music, a kids craft table for autumn art, a bounce house and photo booth for all to enjoy! *BECOME A MEMBER: You will have the opportunity to ask your co-op questions and join if you haven’t already. We need members in order to open our doors and look forward to all the new faces coming out to hear about our efforts! We are excited to announce our new partnership with the Handke Family Center and Community Ed!! The Elk River Area Food Co-op is dedicated to bringing health education and awareness to the community. This new relationship with Community Ed alleviates so much of the time and energy it takes to organize, promote and implement classes. With that said, we will not be able to provide discounts for our members at these events (as we have in the past). However, the prices will continue to stay accessible and we hope this new endeavor allows us to reach a much wider audience and educate far more people. *Elk River Area Food Co-op Meet & Greet with Community ED. : October 23rd from 6-7:30 p.m.
*DIY Kombucha with the Elk River Area Food Co-op and Community Ed: November 13th from 6-7:30 p.m. The Elk River Area Food Co-op is growing! We are looking to add two marketing interns to our team. This is a great position for high school seniors and college students who want to get involved in their community and gain tangible business skills along the way. This is an unpaid position. Assist current Marketing & Outreach Coordinator with social media development and website maintenance. Build co-op awareness and visibility within the community by distributing marketing materials. Educate the community about co-op efforts by attending co-op events and farmers market booth. We are looking for an enthusiastic marketing intern to join our team and help us achieve our goals. 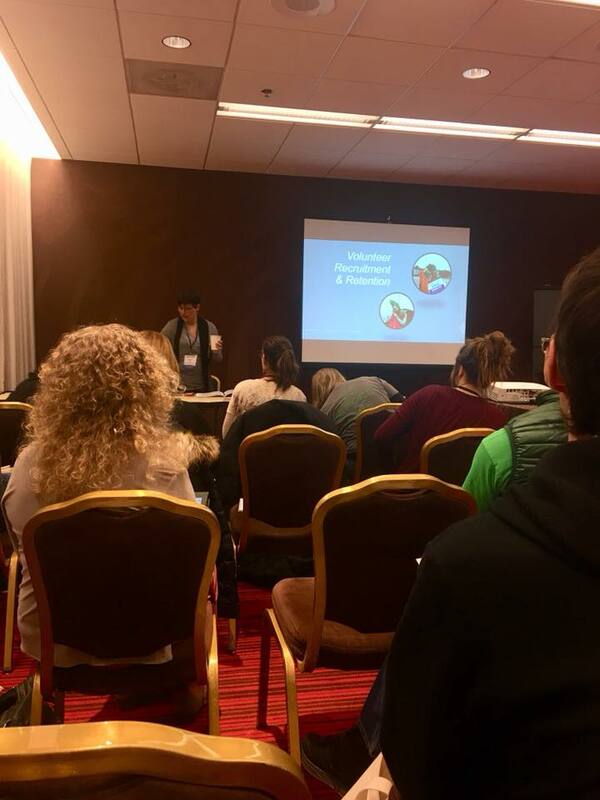 As a marketing intern, you will be assisting and collaborating with our current Marketing and Outreach Coordinator in order to help us build co-op awareness and visibility within the community. Your insightful contribution will help develop, expand and maintain our brand awareness. This internship will help you acquire basic business and communication skills. Training is provided and you will be guided and directed along the way. No marketing or outreach experience necessary, though we do need outgoing, dedicated and hard working individuals. Attend community events: farmers markets, parades, etc. Help distribute marketing materials: community flyers, yard signs, etc. Communicate with co-op partners when necessary for donations, event organizing, etc. Basic understanding of social media platforms: Instagram, Facebook, etc. If you are interested in the position, please fill out the form below. We will collect your information and connect with you with further questions and to set up an interview. If you have further questions please e-mail us at elkriverfoodcoop@gmail.com. Why are you interested in becoming a Marketing Intern for the Elk River Area Food Co-op? Please tell us a bit about your schedule and how you will fit this position into your life. The Elk River Area Food Co-op headed to the Three Rivers Montessori Earth Day event held at Lions Park. Kids were able to make seed necklaces with the help of the Co-op, as well as get more information about our efforts to bring fresh, local and sustainable food to the North Metro. The Elk River Area Food Co-op has a busy spring and summer planned and are looking to collaborate with student volunteers and youth organizations. This is a great opportunity for the youth of our community to get involved, connect and grow their interpersonal communication skills! Students and organizations will assist the co-op at parades and other events throughout the season. We are also looking for those interested in helping build awareness of the co-op through marketing efforts including but not limited to hanging community flyers, distributing food co-op yard signs, etc. Hours are flexible with no minimum commitment necessary! Please fill out the short form provided below or directly reach out to the elkriverfoodcoop@gmail.com. Please print and review the March monthly Board Meeting Notes. The Elk River Area Food Co-op will host a volunteer recruitment event from 11 a.m. to 2 p.m. Saturday, March 24. The event will be held at the Elk River Library, 13020 Orono Parkway. “We are growing so much, we need extra help,” said Alyssa Johnson, the co-op’s marketing and outreach coordinator. There are openings on four new committees: membership, finance, education and operations, and there will soon be an opening on the co-op’s board of directors. Volunteers are also needed to staff a co-op booth at the Elk River farmers market and to help at other co-op summer events. General volunteer help is needed as well. Johnson said the volunteer recruitment event will include an explanation of the co-op’s mission and vision and a chance for people to get their questions about the co-op answered. Snacks and beverages will be served, some of which are being donated by the co-op’s partners. The co-op has 17 local partners offering products such as honey, free-range eggs, grass-fed beef, micro greens, therapeutic massage and handmade soap. All of the partners give discounts to Elk River Area Food Co-op members. The Elk River Area Food Co-op is a start-up, member-owned, community grocery store dedicated to providing access to high quality, local, natural and organic food at a fair price, supporting local farmers, and contributing economically to the community. The co-op’s membership has grown to 320. Johnson said the goal is to have 600 members to begin looking at locations for a retail store. For more information, go to www.erafoodcoop.com. People interested in becoming a co-op volunteer are encouraged to fill out an application online, though it is not required. To reach the co-op, email elkriverfoodcoop@gmail.com. Co-op start up guide, work plans, timeline, etc. Alyssa, Maria, and Liz F? March 16th and 17th in Milwaukee, Wisc. WHAT DOES IT MEAN TO SUPPORT LOCAL? WHY IS IT IMPORTANT? AND HOW DOES SUPPORTING LOCAL IMPACT YOU AND YOUR COMMUNITY? Hey everyone, my name is Alyssa Johnson, and I am the Marketing & Outreach Coordinator for the Elk River Area Food Co-op. Now-a-days you hear the favorite buzzwords 'support local' but what exactly does that mean to you and your community? I wanted to shed a little light on the reason I think supporting local is so important and the immense benefits you can gain, both on an individual level and on a communal level. Supporting local is not a new concept, it's not a trend or a fad that will fade with time. Supporting local is what our grandparents did, and their parents, and all that came before them. It's not a becoming, but rather a returning to the way things naturally were once upon a time. Supporting local is a movement that takes consumers away from large, impersonal big-box retailers in order to strengthen the local economy. Instead of filling a multi-million dollar bank account, when you support local, the small businesses you are purchasing from are real families with real passion behind their products. 1. Know & trust the people behind the product. Every other week I have farm fresh eggs delivered to my door. Becky Walker, with Walker Farms, drives around in her blue car always pulling up with a huge smile on her face. When you personally know the people behind the products, you enjoy a connection you would not otherwise have. Becky has met our passive aggressive dog many times and knows the trick is to give him love. This sort of friendship and trust can not be found at a large box store like Walmart or Cub Foods. There is a sense of pride in everything our partners provide. If you haven't already, check out our growing list of local businesses that are committed to giving the best quality goods and service. 2. Improve your family’s health. When you buy directly from local farmers or through your town's farmers market, you have access to the freshest fruits and vegetables available in your community. You can get to know your farmers and find out their practices. What you'll notice is most small farmers and those that set up booths at the market are dedicated to providing chemical free produce and pasture-raised animals. Why is that important? Chemicals and toxins are undoubtedly detrimental to our health in large quantities (which is the truth behind most of the conventional products we eat today) and research is beginning to understand the negative implications. Peppers flown in from Holland. Bananas from Guatemala...... Our food travels A LONG way to get to our dinner table. Often these conveniences are overlooked and under appreciated. At a conventional grocery store your products are days (even weeks) old after sitting in a box and being shipped half way across the world or through state lines. Think about how much fuel, time and energy it takes for your favorites to make it on your plate. Buying local means the product is close to home and is definitely fresher than anything you can find at the grocery store. Plus, you are lessening emissions by negating the need to have your food travel long distances. 4. Improve the local economy. 5. Keep that small town charm. Local businesses give a community its flavor. Each small farm has it's own practices and personality. Each local merchant has a story behind their passion for providing handmade, custom products for their customers. On the other hand, most chain restaurants or big box stores are virtually the same with a little rearrangement depending on space and location. The Elk River Area is an old agriculture hub with history rooted in the first cooperative of farmers, the Grange, with Oliver H. Kelley of the Historic Kelley Farm. This area flourished because of the blue collar, hard workers who believed in their work. Let's keep our town quaint and celebrate those who make this area so beautiful. Of course there are MANY other benefits of supporting local, but those are a few to start. The Elk River Area Food Co-op is dedicated to promoting these values and our vision of bringing the community together through health education and awareness. We believe in the power of consumer choice and strongly push the idea to 'put your money where your heart is'. All too often we forget how much we impact the communities we live in. Be empowered and support the people near you and all the love and passion they put into their products! Things may seem unstable, busy and out of control at times. However, we want to remind you how much power you have to create your own community. It is easy to get sucked into the dramas of the news and the division of opinions. You may not be able to change the world, but who needs to? Individual choice is the only way to influence and improve the whole. Our daily habits and actions are what matter most. This year we encourage you to support local whenever possible - whether that means calling up one of our partners for fresh food, or buying your coffee at a mom and pop instead of Starbucks. This keeps your money in the hands of families and neighbors instead of multi-billion dollar corporations. We encourage you to connect with your community - get involved, come to our classes, make new friends who also are interested in bettering their lives and wellbeing. The more you connect with others the more you can relate, and maybe life won't seem so challenging! Become a member, join our forces, and help us build a gathering space for all to enjoy. We want to make health and wellness easy and accessible instead of confusing and overwhelming. We believe that healthy, tight-knit communities means happy communities. We invite you to get involved and help make this co-op dream a reality ~ whatever that means for you! On the surface, the Elk River Area Food Co-op is a Member-Owned Grocery Store. But dig a bit deeper and you will find that our mission is to empower the community to work together and build a brighter, healthier, fairer future for all to enjoy. Whether it's the environment, our local economy, or the livelihood of our neighbors and friends - we believe that cooperation and support are the only tried and true means of living wholesome lives. May 2018 be the most fulfilling year yet! IF YOU HAVE QUESTIONS OR TO LET US KNOW YOU PLAN ON COMING. We are so excited to welcome our new Board of Directors. Congratulations Anna Harris, Angela Foster & Carla Mertz on becoming the newest leaders of our team. We look forward to utilizing your skills and expertise to move the co-op forward! Please tell us why you are interested in serving on the Elk River Area Food Co-op Board of Directors. : I have a personal interest in seeing the ERA Food Co-op come to fruition. It is a resource that I value highly in a community, and I am interested in expanding access to fresh, local, & sustainably harvested food / products to my community. Having only lived in Elk River for a few weeks now, I am quickly discovering there is a lack of information about the benefits of locally sourced & sustainable products in this area. As a board member I would like to take an active role in the community education piece of this start up. What skills and experiences would you bring to the board? : My husband and I own a residential painting company for which I am the sales and marketing coordinator. I have great people skills. I also have a masters degree in environmental education from Antioch University New England which is firmly rooted in sustainability (social, economic & environmental). In school I took an active role in community education programs and event planning. Where I may lack in experience, I have a network of alumni that I feel confident calling upon for advice and support. Why do you think the Elk River Area needs a food co-op; how will it benefit our community? : Oh my gosh, Co-ops (and locally owned coffee shops - which we also need) are community centers. The Elk River Area desperately needs this co-op to serve as a role model for cooperatively driven business and as an education hub for the importance of sustainability. From what I can tell there is a lack in the systematic availability of fresh, local & sustainably harvested products, Elk River needs this co-op to drive the farm to table movement in this area. Please tell us why you are interested in serving on the Elk River Area Food Co-op Board of Directors. : I find it so exciting that this community of people has been able to do so much in garnering memberships and followers. The geographical area is in desperate need of a Co-op. I spent most of my early 20s living in Minneapolis, with access to so many amazing Co-ops and I want to bring that experience to the Elk River area. The movement for better quality food is gaining so much traction and momentum, the time is now to get a brick and mortar store up and running. I am a working mom, who doesn't want to have to make the trek into Minneapolis every time I want to purchase reasonably priced sustainable food year round. Do you have any specific goals you would like to accomplish as a board member? : One of my biggest goals would be to see the membership numbers increase so that we can start to lay plans for a physical store. I would love to assist in the designing and building of the store. I am a very social person and would enjoy being out in the community spreading the word about the co-op and all of its amazing benefits. What skills and experiences would you bring to the board? : I currently serve on the board of directors for a small local non-profit called Ella's Halo (www.ellashalo.com) and have done so for the past 7 years. I assist in raising awareness for the non-profit by organizing donations and charity events. I spent many years in the restaurant industry as a corporate trainer and assisted in the opening brand new restaurants from the ground up. I now work as a corporate paralegal and would be able to bring my legal background to the table. I have a very strategic mind and I am able to step back and analyze the big picture. 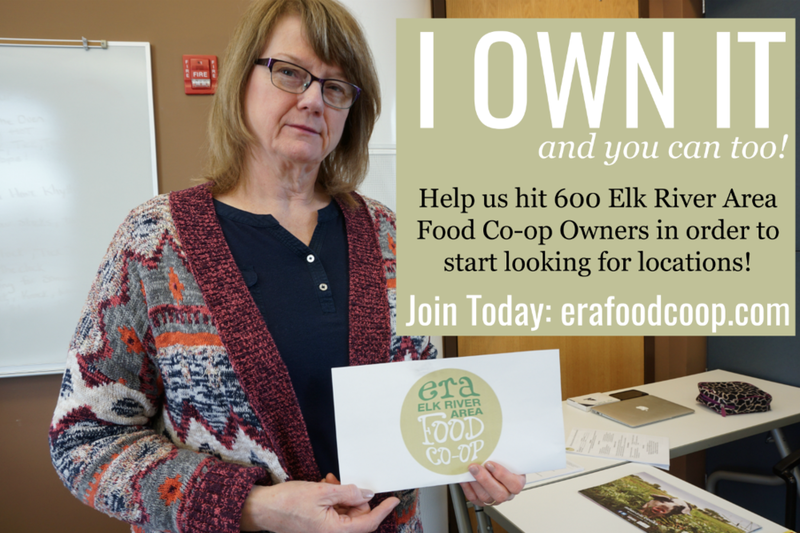 Why do you think the Elk River Area needs a food co-op; how will it benefit our community? : This area is like a food desert in the sense that there is nothing other than big chain grocery stores, whose goal is to sell mass amounts of food, instead of quality products. I love what co-ops stand for and I believe that most people who run them and work at them take a lot of pride in the job they are doing. I would be so thrilled to not have to drive to Minneapolis to purchase high quality groceries at a reasonable price. I believe this co-op could help bring more organic and natural food selections to the area, jobs, and a sense of community by offering items sourced locally. Please tell us why you are interested in serving on the Elk River Area Food Co-op Board of Directors. : I am interested to serve on the board of directors to share a vision to bring good quality food to the residents of the Elk River Area, and promote healthy food options and locally sourced produce. Do you have any specific goals you would like to accomplish as a board member? : To help promote the awareness of the co-op and to help grow membership. What skills and experiences would you bring to the board? : I am a local farmer/producer. I have 15 years of business ownership experience, working with biz to biz networking. I am also an interior designer working in the restaraunt industry and hospitality. we sell currently to co-op producers. I have a strong business sense, great leadership and teamwork insight. Please tell us about any prior or current civic involvement. : I have served on the board of directors for the elk river skating club. I currently am involved with shatuck st marys figure skating club to help raise funds for their private programming. Our bylaws state we need 10% of owner participation for voting in our NEW Board of Directors [Bio's Here]. With a total of 303 members (at the time of the meeting) we need at least 31 votes, we received 28 votes. If you didn't have a chance to attend the 2016-2017 Annual Member Meeting, please take a second to fill out the ballot below. You have until December 5th to do so, otherwise by your silence we accept your vote. If there are any objections or concerns, please e-mail us at elkriverfoodcoop@gmail.com. Your name and member number must match those in our records. Only one vote per member number is allowed (designated voter). Vote by selecting each box. You may select up to five candidates. If you do not know your member number, please provide the e-mail and address you have on file. 2016-2017 was a year of many successes! Read our Annual Report and the Star News coverage of our Annual Meeting to learn more. We are so thankful for the support of our community. However, in order to keep flourishing, we need YOUR time and energy. *Double Membership: We need to double our membership (from 300+ to 600+) in order to start looking for physical locations. That shows us, and our lenders, that the community supports our efforts in creating a locally owned grocery store. *Establish 9-Member Committed Board of Directors: We elected 3 new Board Members, all serving a 3-year term. Our board is currently filled as we begin to develop training orientations and responsibility delegation. *Develop/Maintain Committees: In order for the Elk River Area Food Co-op to continue reaching our goals, we need to engage our community. Starting a food co-op take considerable time and effort, therefore we are looking for our community to step up and join our committees. Committee descriptions and expectations will be posted in the next few weeks, however please reach out if you have specific skills you'd like to donate to the co-op efforts. Our number one priority is to build our membership foundation to 600+ owners in order to start looking for a physical location. In order to do that we need help spreading the word and building awareness! We need our community to commit to our vision and values. The easiest way to do that is to become a member today! You pay a one time fee of $100 and unlock a handful of discounts and member-only benefits from local farmers and small town businesses. Your money stays close to home and you can rest easy knowing you own your very own grocery store. Refer a friend, host a house party, volunteer your time... We need our members to donate their skills and passion to our cause. In order to get this thing going we need the energy of the entire community. Please find out how you can help & get involved today. Don't have much time, but still want to help? The easiest, most cost effective tool we have is WORD OF MOUTH. Tell everyone you know there is a co-op coming to town! Follow, like and share our posts and e-mails with your network. If you have further questions, concerns or recommendations, please e-mail elkriverfoodcoop@gmail.com. Please review our Annual Report to read about our 2016-2017 successes and to learn ways you can continue to help the co-op grow. As you will see on the above graph, and our report, Word of Mouth and Social Media have been the two largest contributors to our success. We ask the community to keep spreading the word and help us build visibility and awareness throughout town! We are so thankful to all the Elk River Area Food Co-op Owners who came out to our Annual Owner Meeting. We had a full house and are excited to be outgrowing our space! 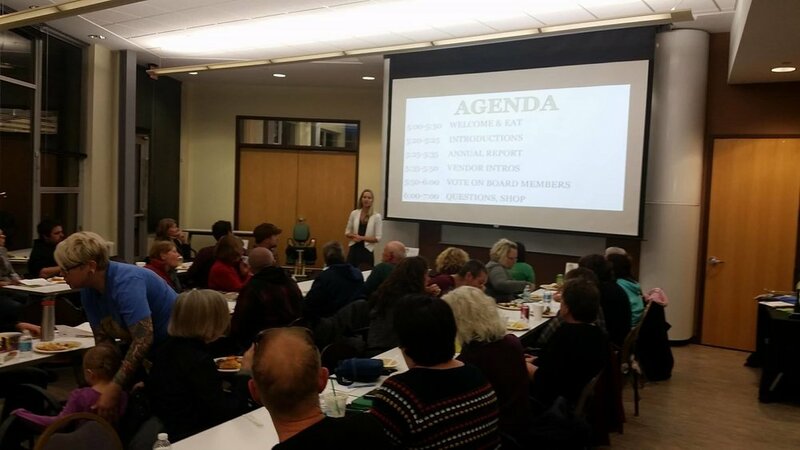 We started the night off with a community potluck and celebrations followed by new board applicant introductions and talking about 2018 goals. We then proceeded to go over the successes of 2016-2017 and vote in our full board of directors. At the end members had a chance to meet some of our partners and hear about their operations. It was a fun and motivating meeting to inspire the new year ahead. *Membership: We nearly doubled our membership. We added over 145 new owners to our growing co-op community for a grand total of #305 OWNERS!! If we can double again this year to #600 we will begin looking for store locations. *Community Connections: We now have a grand total of 17 local partnerships, making it more convenient for you to support local agriculture and small-town businesses. *Outreach: We held 5 house parties, 3 Meet & Greets, attended over 15 Elk River Farmers Markets and set up for 6+ special community events in order to build visibility in our community. *Marketing: We hired our first staff! Alyssa Johnson helped us build awareness by designing, updating and maintaining our online social media and web presence. We also printed over 500 newly designed brochures, 1,000+ business cards, printed over 250 community flyers and distributed 50 yard signs. *Education: One of the co-op's core principles is health education and awareness. In 2016-2017 we hosted 7 community classes and continue to offer amazing opportunities to learn with like-minded individuals. 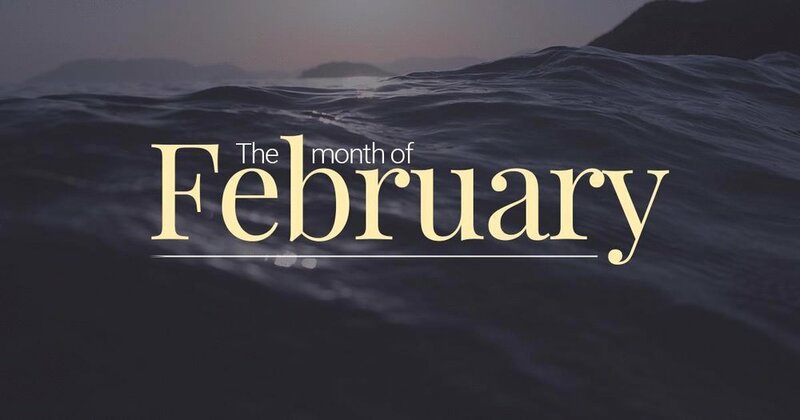 Check out our calendar to see what classes are coming up next. *Training: Our board of directors and staff had the chance to attend multiple trainings at the local, regional and national level. This allowed us to learn ways to better serve our community and grow with the changing competitive market! Our goals are achievable, yet lofty. We need our entire community to support our efforts in order to move forward and make this co-op a reality. If you have time or skills you would like to volunteer, please fill out our volunteer application below. DID YOU SEE LAST WEEKS PAPER? Star News came to our Annual Member Meeting to hear about our 2016-2017 successes along with our goals and aspirations for 2018. The Elk River Area Food Co-op has doubled its membership in the last year as it works toward opening a retail store. The co-op has added more than 140 members since November 2016. Its membership now stands at 303, according to Annie Felix-Gerth, co-op president. “We are building a lot of momentum and we are achieving our goals,” Felix-Gerth said during the co-op’s annual meeting Nov. 16 at the Elk River Library. Goals for 2018 include doubling membership again to 600, improving board operations and establishing committees, she said. Once membership hits 500 to 600, Felix-Gerth said the co-op can begin looking for a store location. The co-op is operating under the assumption that the store would be 10,000 square feet in size and 1,000 to 1,200 members would be needed before opening a store of that size, she said. A smaller store would require fewer members to open. She said the co-op needs to continue to build awareness. Twenty-six percent of new memberships came via social media while 22 percent were from word-of-mouth. Felix-Gerth said they have been doing outreach by attending community events such as parades and festivals in the summer and offering classes and other events in the winter. 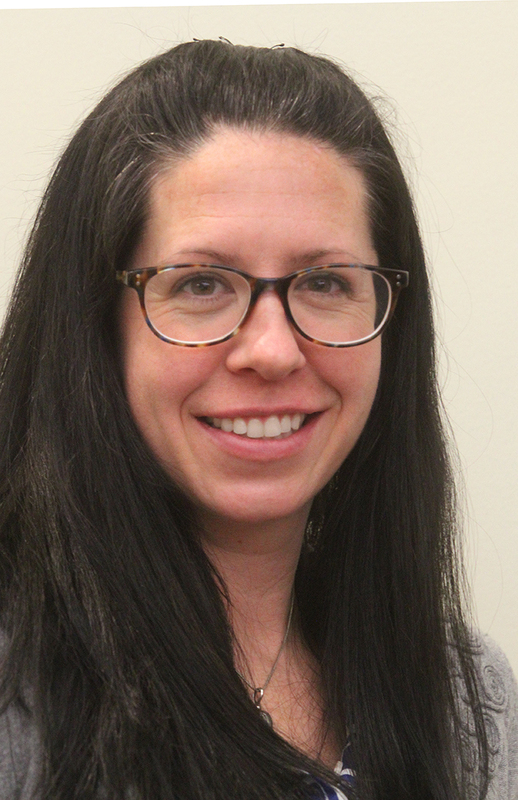 Alyssa Johnson was hired as the co-op’s marketing and outreach director one year ago, which Felix-Gerth said has been key. The co-op is a member-owned organization dedicated to providing access to high quality local and natural food at a fair price, supporting local farmers and contributing economically to the community, according to the co-op’s 2017 annual report. During the annual meeting, three new members were elected to the co-op’s board of directors. They are Anna Harris, Angela Foster and Carla Mertz. Harris is a native of Syracuse, New York, where she grew up on a hobby farm. She and her husband bought a house in Elk River recently after moving to Minnesota from Colorado. She has a master’s degree in environmental education. Foster and her family have lived in Ramsey for five years after residing in Minneapolis for many years. She works as a paralegal. Mertz is the owner of Iron Shoe Farm in Princeton, which is one of the Elk River Area Food Co-op’s partners that offer discounts to members. Iron Shoe Farm offers member discounts on micro greens, beef, chicken and pork. Felix-Gerth and Kari Froehlich, the co-op’s vice president, were re-elected to the board. Other board members are Christina Hackenmueller (secretary), Liz Tveite (treasurer), Maria Rehland and Liz Frink. Four co-op partners also spoke at the annual meeting. They were Andy Walker of Walker Farms in Princeton, Jake Pettit of Pettit Pastures in Milaca, Brandon Grochow of My Alaska Seafood Connection and LuAnne Moe of Moe Therapeutic Massage. Walker Farms offers pork, beef, chicken and eggs. Pettit Pastures raises grass-fed beef it delivers locally and also supplies to restaurants. Grochow used to live in Alaska and uses his contacts there to bring seafood directly from Alaska to the Elk River area. Moe is located in Elk River’s Martin Plaza, across from the Dairy Queen, and has been in business since 1998. Event details can be found under the “Event” tab on Facebook or at www.erafoodcoop.com/calendar. 2016-2017 was a year of tremendous growth! We nearly doubled our membership to a total of #303 owners. We are so proud of our community and look forward to hitting our 2018 goals! We need your help to get there. In order for us to start looking for physical locations we will need around 600 owners. This shows us, and our lenders, that our community supports our efforts. If you haven't joined yet, please let us know why! There is no better time to support local agriculture, healthy food access and community connections.